This...It..Was...T..To be my da. No one beleived her...Iwas hidden away form the others..Prisoned form my own mate..To be killed...Ive been dead for years now..I tried...Yet it was to late..She hypnotized him..She took my psot..She...Transformed..INot me....She killed htme all....All of them...Every last one.She still lives..Taking over their souls...Killing them transforming her minions into them forming an identical pack. She tried to stop her...It did not work.Her pack mates called her a disgrace and prisoned her also....Fra form me. She wa snever seen again..The young fae healer sits and dreams for the dya to come once more...Fotr he rlife ot come back..Her firneds are dead..My mate is dead...The..One..S..she-..... 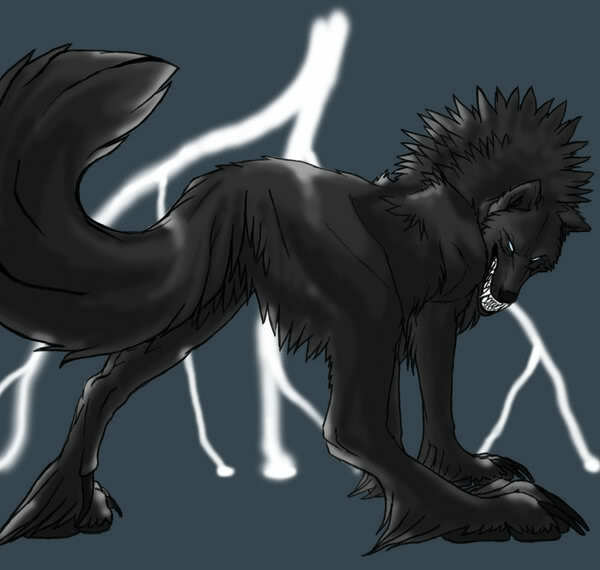 [Voice stops..A larger one apears in your ears]..."There is no need for your foolish stories Aria..They know thye dont exist..That is why your dead...."..She placed her large paw crushing the wolf into the dirt..The other wolf soon turns to dust. "She was useless..And os are you....Your useless to me..Your emotions..On another hand..Are not"...You feel pain run through your bod y as you see a blue mist flowing from your mouth into the creatures nose. "Your foolish for coming here." She took off into the sunlight..All you could see was a glinse of a wing filled wiht holes.you fall onto the ground slamming your hea don a rock fainting.Hours later a young Brute nuzzles you.He drags you out fomr the cave.Your covered in chains and you awake squinty fomr the bright shine of the red moon. The sky bask in red and all you can hear is snarls and growls.Your eyes shoot open.You struggle fomr his grasp but he wont let go.He soon falls next to you slamming his head on the dirt..Dirt..Isnt..Muddy...Or red.You look at it and see half his face is gone.You soon move away..Still chained up. A snow leapord grabs you..And your off again..She brings you into a large cave covere dby a large rock...A light flickers in the background.You see two other leapords..A wolf..An eagle..And a small deer.Yours eyes widen..Most of them are injured.The feline stares at you and studies you..Your unharmed...Will you survive? Will thye get you?...Will she get me?